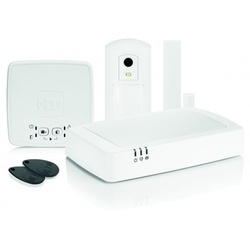 The evohome security range has the option to add up to 32 accessories – now or in the future. The range is designed to be easily installed. The main hub automatically detects each wireless accessory. Avoid damage with a screw-free install Included an optional screw-free installation for every part of the range, using double-sided adhesive.